Research Roundup: genetic catalyst of antibiotic resistance identified, why dogs are a relevant model for human health and more! Genetic catalyst for antibiotic resistance identified. By studying different bacterial species, called Pseudomonas, scientists have identified that the gene known as ampR is a major cause for these bacteria to develop antibiotic resistance. The ampR gene is known as a “master regulatory gene” and turns sets of genes on or off — including genes involved with antibiotic resistance. They specifically discovered that bacteria with the ampR gene were much more likely to develop antibiotic resistance. So the team blocked the ampR gene using an enzyme inhibitor called avibactam. Pairing avibactam with ceftazidime — a common antibiotic — managed to wipe out the bacteria before they developed resistance. While the discovery is promising, follow-up studies in animals will be conducted to assure this phenomenon occurs outside the dish. Published in Nature Ecology and Evolution. Exercise raises brain temperature and dampens appetite. According to a study in mice, exercising “heats up” the hypothalamus, a region of the brain which suppresses eating. It has been clear for sometime that exercise decreases appetite, but the specific mechanism was previously unknown. A team of researchers at Albert Einstein College of Medicine, ran mice on a treadmill and measured the temperature of the hypothalamus and appetite. The temperature of the hypothalamus rose and their eating was reduced. The same effects were found after artificially stimulating brain receptors that detect temperature in the hypothalamus — TRPV1-like receptors. Mice without these receptors however did not decrease eating after running on the treadmill. Published in PLOS Biology. Another reason dogs are good models for human health. A new study has found that the dog microbiome is more similar to the human microbiome than are the microbiomes of pigs or mice. Scientists studied 32 Labradors retrievers and 32 beagles, half overweight and half lean, and sequenced the DNA in their stool samples after both a standard diet and then either a high-protein or high-carb diet. Changes in the microbiome after changes in diet were similar to previously reported observations in humans. These findings indicate that dogs may be a valuable model for research into human nutrition. Moreover, controlled diet studies with dogs are crucial, the scientists say, because “You can control a dog’s diet much more than you can do a human’s.” The closer similarity between dogs and humans will yield better results than studies of other animals models in studies of nutrition. Published in the journal Microbiome. Efficacy and safety of male contraceptive tested in primates. A new male contraceptive pill, EP055, has been tested in rhesus macaques at the Oregon National Primate Research Centre in the US — with no side effects. This pill limits the activity of sperm by targeting a protein, EPPIN, on the surface of the sperm. Michael Rand, the lead investigator on this study, stated, “Simply put, the compound turns-off the sperm’s ability to swim, significantly limiting fertilization capabilities.” Vasectomy and the use of condoms are the only options available for male contraception at present, but safe drugs with reversible function, such as EP055, could be available within a decade. Published in PLOS One. Is dementia being provoked by your immune system? 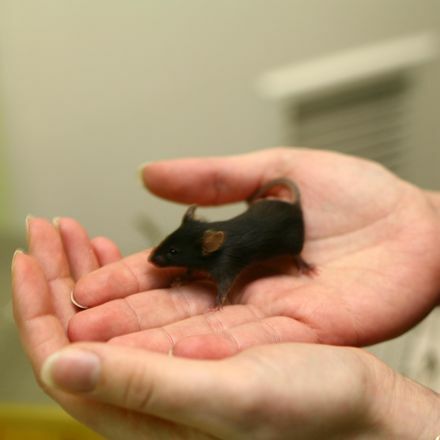 In 2010, Michael Heneka and his team eliminated a key inflammation gene, Nlpr3, in a mouse model of Alzheimer’s disease. These mice were seemed healthy, performed well on memory tests and did not develop amyloid plaques — both features associated with dementia. Since then, researchers have further confirmed the link between the system functioning and dementia — highlighting, for example, the cells and signals involved. As an idea about the scope of this work four of the eight drug-discovery projects backed by a major UK group of charities, the Dementia Consortium, are aimed at inflammation (US 5.7 million). This also highlights the crucial role of animal models in the identification of relevant targets for drugs as well as the time scales that often involved before they can be used in humans. It is estimated 50 million people worldwide have dementia — with a projected increase to 82 million by 2030. Posted on April 28, 2018 by EditorPosted in News, Research RoundupTagged alzheimer's disease, antibiotic resistance, appetite, dementia, EP055, male contraception, obesity. Next Next post: Research Roundup: First smallpox treatment, new horse flu vaccine, breast cancer pill, and more!